We visited the virtual room to write descriptive language about the setting of Gregory Cool. Creating film advertisements for Charlie and the Chocolate factory. 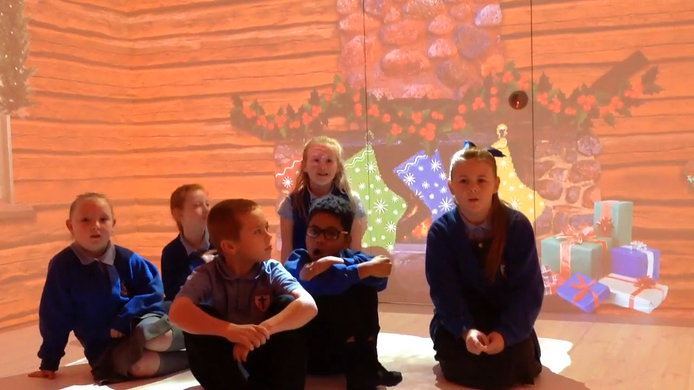 As part of our whole school writing days, we have written a play script for different scenes of The Snowman. As part of our English topic, 'Stories with imaginary settings,' some of us made imaginary worlds at home and brought them in to show the class. KS2 participated in a workshop with author Sarah McIntyre. 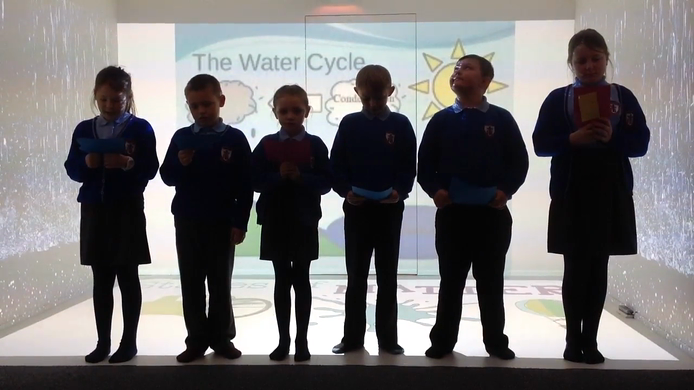 Above is a documentary we have created about The Water Cycle. We have been studying explanation texts in English. We have made a documentary, in order to practise the vocabulary we should be using when we write the explanation text. Year 4 visited a Log Cabin in the North Pole. We used our virtual space in school to help us write a detailed recount of our magical class trip. We have been looking at different magazines to find out WMAG (What Makes A Good) magazine article. We have been looking at stories with historical settings. Below are pictures of freeze frames from the story Simon! We have been studying the Roald Dahl book, 'The Witches' so far this half term. All of the children in year four have created their own film trailers for their version of The Witches.